It was our first really warm evening of the year, warm enough that we could all sit outside and chat after supper. 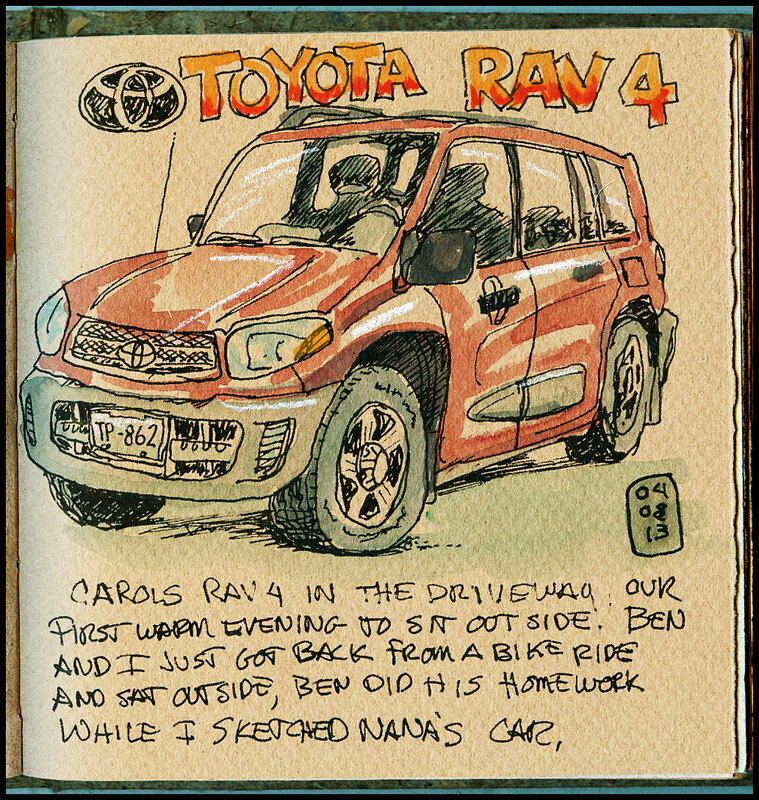 While we were chatting I drew Carol's car. I figure it doesn't really matter what I draw as long as I keep the ink and paint flowing. 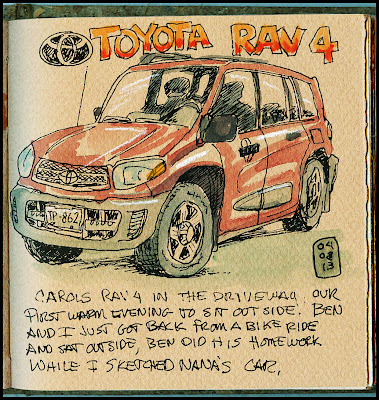 I think this little RAV looks more like a red school bus, but it was a fun thing to draw.